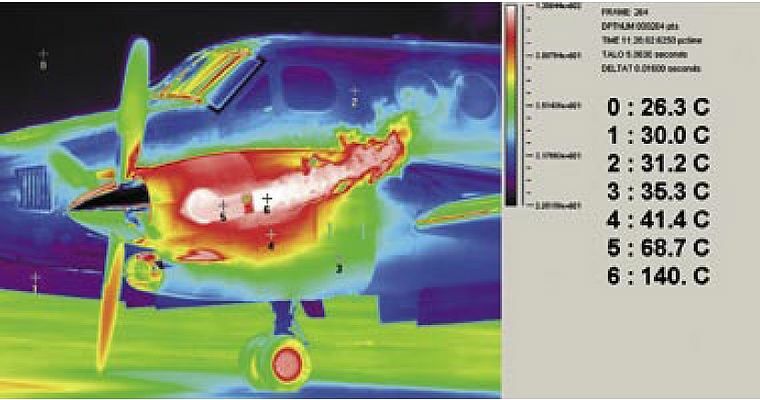 FLIR Systems proprietary Superframing Technique has been developed to extend the effective scene brightness of a thermal image while maintaining its thermal contrast. The superframing technique involves varying the exposure, or integration time, of a FLIR thermal imaging camera from frame to frame in a cyclic manner and combining the resulting subframes into single superframes with greatly extended temperature ranges, enabling visualization of scenes featuring extreme temperature differences. What Superframing Technique is about? For temperatures around room temperature, for example, the operator will set the camera to a typical temperature range of -20 °C to +50 °C. All objects with a temperature beyond this range, the brightest or hottest parts, will be presented as saturated. Those below the range will generally be noisy. So, if for instance our object temperature of interest is +100 °C, a range of +20 °C to +120 °C must be selected. In this case the camera will present a good image of the +100 °C object, but the detailed contrast of the room temperature objects within this image will not be as good as displayed in the first, - 20 °C to +50 °C range. The combination of the two images would be a logical step. The solution would be to allow the camera to "take" an image in the first, room temperature range and then "take" a second image at the higher temperature range. Combining these two images in a smart way should produce a superior picture which would encompass the best parts of both images. This is what Superframing is about. FLIR Systems Superframing means taking a set of typically four images (subframes) of the scene at progressively shorter exposure times in very rapid succession, then repeating this cycle. The subframes from each cycle are merged into a single superframe which combines the best features of the four subframes, which as we already know, have different exposure times. This process is called collapsing. In this way, the superframe image, generated by the collapsing algorithm, will be both high in contrast and wide in temperature range. The algorithm is basically quite simple: if a pixel in the first subframe is saturated, the algorithm selects the corresponding pixel from the next subframe. If that pixel is satisfactory, the algorithm stops. If not, it checks the corresponding pixel in the next subframe for suitability, and so on. All pixel values are converted into temperature or radiance units for the final superframe image.